The P2G partnership model provides an opportunity for Jewish Memphians to connect to Israel in a more direct and intimate way. While we can all appreciate and celebrate Israel in the abstract, forming a partnership with a specific community within Israel opens doors for us to forge meaningful relationships on a person-to-person level. Together, community members from Memphis and Shoham can explore our shared Jewish identity, enjoy uniquely Jewish experiences, and collaborate on community initiatives. We will continue to learn from each other as we work to strengthen the bonds between Memphis and Israel through the community of Shoham. Shoham was not chosen at random-- the community is culturally and demographically similar to Memphis and a natural partner for us. The town is centrally located outside of Tel Aviv, near Israel's Ben-Gurion airport, and is largely composed of educated professionals. Culture, sports, and education are top priorities in the community. There is an active community center and three major youth movements, including the Israeli Scouts (Tzofim). The community is religiously diverse, with about two-thirds of residents identifying as secular and one-third as traditional or Orthodox. There is also a budding Reform congregation in Shoham, led by Rabbi Rinat Sefania, who has already visited Memphis several times as part of Temple Israel's Shoham Project. The chief rabbi of Shoham, Rabbi David Stav, serves as the head of Tzohar, an organization dedicated to bridging gaps between the Orthodox and non-Orthodox populations in Israel. Rabbi Stav has also visited Memphis. 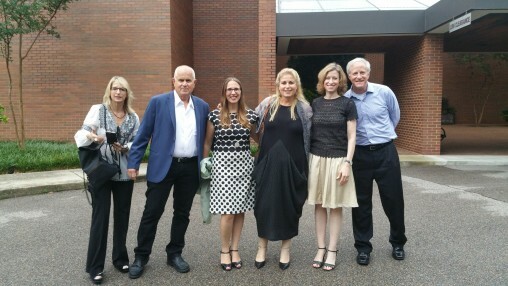 In October 2017, a delegation from Shoham visited Memphis to participate in the ASBEE World Kosher BBQ Championship, tour the city, and connect with community members. Reflecting on the experience, Tovi Kochav wrote, "Our hosts did a wonderful job of introducing us to many community members– and also to the many flavors of their famous southern cooking! Together, we prayed, laughed (even to the point of tears) and discussed challenges from both sides– related to Jewish identity, and raising and educating our children. We did not expect to find so many similarities in a community so far away from home." Click below to read the full article on JCP Connect. Letter from Shoham: Thank You Memphis Jewish Community-- You've Been Good to Us! Get to know the Shoham community! Meet the lay leaders in Shoham who are working diligently to plan partnership initiatives. 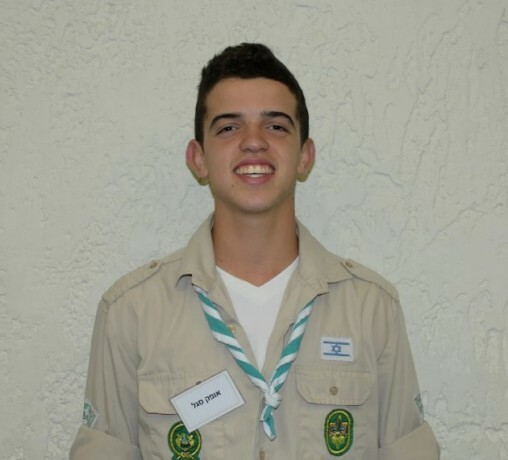 Ofek Segal, of Shoham, spent Summer 2017 in Memphis as part of Memphis Jewish Federation's Israeli Summer Scouts program. Get to know him and find out what he accomplished during his time in Memphis. 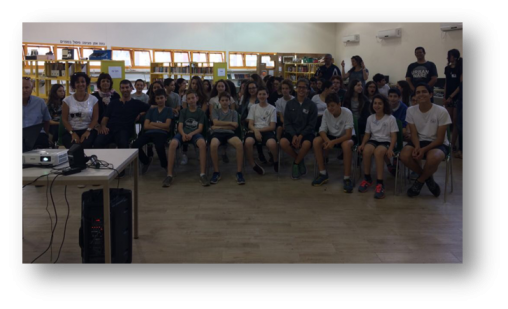 As part of the Memphis-Shoham partnership, Bornblum Jewish Community School has launched a "twinning" program with the Yahalom School, a junior high school in Shoham. Read reflections from the Bornblum 8th grade students who visited Yahalom during their trip to Israel. 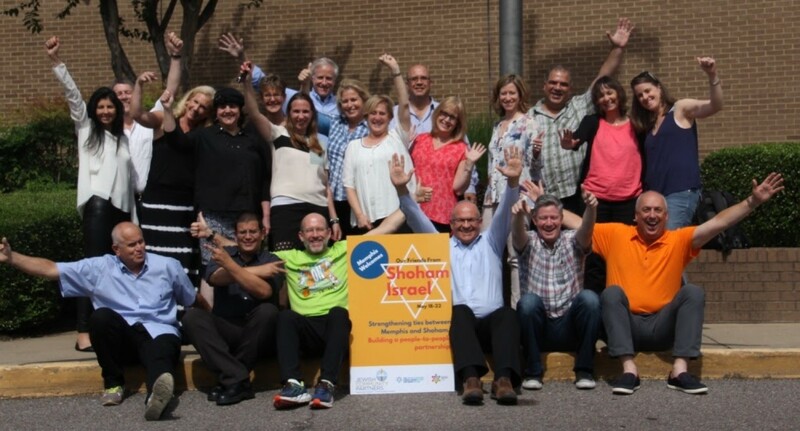 A delegation from Shoham came to Memphis in May 2017. View a photo gallery of the visit and read about its impact. Learn about what's next for the Memphis-Shoham partnership! Copyright © 2019 Jewish Community Partners. All Rights Reserved.